Home » Disney With Hidden Needs » What is a Hidden Need? How accommodating is Disney? Well, how accommodating do you need them to be? 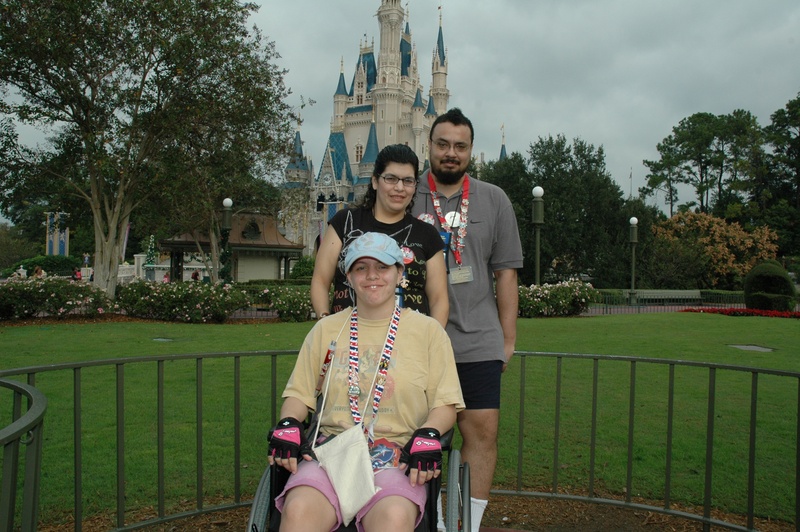 When most people think of guests needing accommodations at Disney, they think of people with obvious physical disabilities. However, what about those guests with the not-so-obvious disabilities, the Hidden Needs? What qualifies as a “Hidden Need”? Special dietary needs can be considered Hidden Needs. If you can’t eat anything with nuts or dairy, then your meal needs to have some special care taken with its preparation. Disney chefs are amazing at making sure that you still get to experience some truly fantastic culinary delights. Physical ailments such as a Multiple Sclerosis, bad knees, back problems, and broken toes (among other things) are all “Hidden Needs” as well. How often do you hear someone complain about not being able to walk very far because their knees are bothering them? Or what about that mom that needs to sit down every half hour or so to rest their back? While these guests do not look like they need accommodations, they often do need some accommodations to fully enjoy their Disney vacation. Another group of guests with Hidden Needs is the group with mental health issues. Guests that live with issues such as social anxiety, depression, autism, and other mental health issues often need some kind of accommodation to help them get the most enjoyment out of their Disney vacation. What kind of accommodations are available for Hidden Needs? For those with special dietary needs, the chefs at the various Disney restaurants are able to make custom dishes. If a guest is not able to eat nuts, the chefs will not only prepare the guest’s meal away from any surfaces that may be “contaminated” with nuts or nut products, but they will also specially prepare the meal without nuts even if it is normally prepared with nuts. For other Hidden Needs, guests can visit Guest Services at any park and request a Guest Assistance Card (GAC). The guest needs to explain to the Cast Member what kind of accommodation would allow him/her to truly enjoy all that Disney has to offer. For instance, if a guest with social phobia needs a quieter and less crowded place to wait for a ride vehicle then this is exactly what the Cast Member at Guest Services needs to know. This information allows the Cast Member to determine the best accommodation available to the guest. In this case, it may be that the guest would be allowed to use an alternate entrance that leads to a less crowded waiting area. This does not mean that the guest will be allowed to go straight to the front of the line. A guest with sun sensitivity issues will need to explain that they need to be allowed to wait in an area that is inside a building or at least well shaded. What information does the Cast Member need to know to issue a Guest Assistance Card? The Cast Member needs to know what you need to be able to enjoy your vacation. However the Cast Member does not need, nor want, to know what your disability is. You do not need to give any confidential or specific information regarding your disability. You only need to explain how you can best enjoy your vacation. A Guest Assistance Card will let me get to the front of the line and get right on a ride, right? No! A GAC will only allow you to wait in an area that is more accommodating for your Hidden Need. In fact, the wait to get a ride vehicle can often be longer when using a GAC. This is because guests that need special ride vehicles, such as wheelchair accessible ride cars, often have longer waits. A guest using a GAC for an attraction may want to take this extra wait into account when deciding if he/she wants to use the GAC accommodation or not for a particular attraction. My daughter and my boyfriend both have Hidden Needs. In my daughter’s case, she has a physical disability that is very hard to notice unless you are very familiar with it. She requires the use of a wheelchair when doing a lot of walking (like a full day at a Disney park), but she doesn’t like to stay in her wheelchair all day. On those occasions when she wants to walk for a bit, the GAC allows her to use an alternate entrance and wait in an area that has a little more room for her sit for a bit. My boyfriend, on the other hand, has both special dietary needs and mental health needs. For him, we make sure to note his dietary restrictions when we make our advanced dining reservations. When we arrive at the restaurant, the chef always comes out to talk to him about his dining needs. When we go to the first park of our visit, we stop in at the Guest services window. We make sure to tell the Cast member that he needs a quieter place away from large crowds to wait for our turn to ride. With a simple stamp that allows them both to use an alternate entrance, they can both wait for the rides without suffering from their Hidden Needs, and we can all enjoy our family Disney vacation. I have a statement. I was just at Disney in September I went to CR to renew an old GAC I had from a former trip. I just said I needed it renewed. The CM didn’t stamp may card. Is this new? I have recently heard about Cast Members (CM) “renewing” GACs, or not stamping cards. I don’t know if this is something new or just a newish CM at Guest Relations. We will be returning to WDW soon and I plan to take our old GACs so that the CM can see what accommodations my two need. Hopefully, it will speed up the process for us. I will let you know what I find out though. I would be interested in knowing the answer to this as well. I’m one of those people with “hidden” needs as I have a bad back and I can’t take standing in lines that are over 30 minutes in length and there are certain attractions where I can’t sit in a certain area, like I can’t sit in the very back of Space Mountain without being practically crippled. So on our trip this past August it dawned on me I might be able to get a GAC and we headed off to Guest Relations halfway through our trip to see if I could get one. I was granted a card that would allow me to use an alternate entrance if I needed to because the lines were too long. I would love it if I could just take my card from this past trip with me next year and just show it to the Cast Members at Guest Relations without having to go into a long explanation as to why I need it, especially since we’re going at a much busier time next year, we’re going the week leading into Christmas. I’m definitely interested in what you find out. While I forgot to take our cards to the park with us (I forgot them in the hotel room), I did see someone else bring their old GACs to the window with them. I was able to overhear a little of their conversation. The guest simply told the CM that they would like to have a new GAC with the same stamp as the previous one. The CM said “OK” and gave them a new GAC. I just got back from Disney for a November trip – and we went to guest services and explained my son has those Hidden Needs – he is mild autistic most people wouldn’t know if you looked at him quickly but after spending some time you can see it. The lines kill him all the people and Disney would not be very much fun without the guest assistance card. They usually enter a ride in an alternative enterence it depends on the park – Magic Kingdom and Epcot – this is usually the fast pass opening sometimes they have a handicap door – Hollywood Studios and Animal Kingdom are newer parks and they have handicap doors. This is seriously a Life Saver we would not go without this aid. I just hope people don’t take advantage when they don’t need it. My 8yo son is also mildly autistic. We will be taking our 3rd trip to WDW in April. I have never gotten the GAC card before… I felt like people (who wouldn’t be able to tell that he was any different from anyone else) would think I was using my kid to line-jump. I think I may get one this time. It will be our first trip without a stroller, so we’ll likely be carrying around less “stuff” to entertain/defuse him. Thanks for sharing your experience. Great information, Pam! What a helpful topic! Wondering if I qualify for a GAC. I will be going to Disneyland at the end of this month. Within the last 18 months I was in the Hospital for 2 months and diagnosed with an on going illness. There is preasure/fluid around my brain and spine that needs to be drained periodically. Stress and heat can make it alot worse. I do not use a wheelchair. Do fine with walking and taking alot of sit down breaks. Do I explain this to a person in City Hall? I don’t want to ask if I will be rejected, but I believe that it would help in a big way to have a GAC. Thanks for any help and advice in this area! Yes, you do. You don’t have to tell them what your illness is. You just need to let them know how you can best be accommodated. Ask to be allowed to wait in an area where you can sit down. Ask to avoid outside queue lines where possible. Thank you so much for the info! I am so looking forward to my first trip back to DLand since the hospital stay! Great post Pam! We are heading down to WDW and will be getting the GAC for Selah. I am so glad that Disney is so accommodating for people with special needs. This is very interesting! My daughter is hearing impaired and we get the GAC card for her…every visit. I’ve asked if it was possible to get a permanent card as she is permanently deaf. Not an option now, maybe someday. We do take in her card from a lst visit and get a new one each visit. Here’s a different question – we’re taking the Alaska cruise this summer. Is there a need or option for a GAC? Hearing in the shows will be challenging and technology or seating to read lips would help.